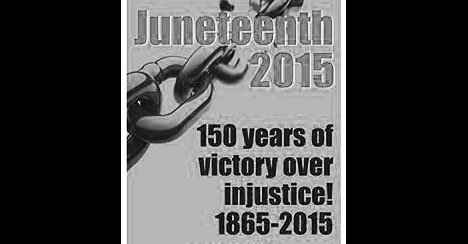 THE 150TH ANNIVERSARY OF JUNETEENTH INTERSECTS WITH AN INCREASINGLY URGENT BLACK LIVES MATTER MOVEMENT AND THE MASSACRE OF NINE AFRICAN-AMERICANS BY AN AVOWED WHITE SUPREMACIST…AND CAN PEOPLE POWER OVERCOME THE CORPORATE STATE AND THE TPP? THIS MONTH’S INSTALLMENT OF ‘THE F-WORD. Also headlines. Guests and Voices: Lynae Pindell of Baltimore Say Her Name, Hari Jones, Gerald Horne.